Hello everyone. My name is Eric McGill. Im as aspiring artist who loves to draw, paint and sketch whenever possible. Ive started a small mural company called ZXMURALS. I enjoy sharing my creativity with the world. I hope you enjoy the few peices I have displayed. Feel free to contact me if you have any questions. 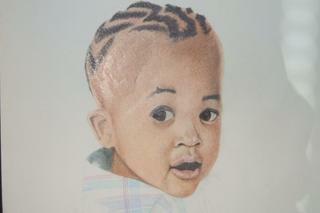 my son ( zion xavier) - pencil color - 11"x14"
love your works especially the portraits they say allot about the models.